This two-pad suction cup is made from lightweight, heavy duty aluminium offering 60kg of lifting power for installing glazing, skylights, glass doors, mirrors, plastics and other non-porous materials. 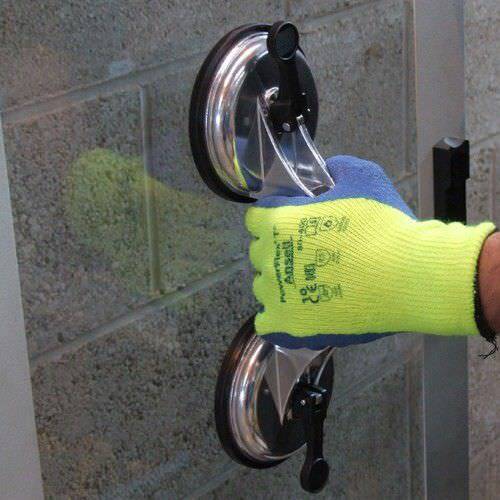 The GGR2 suction cup has a sturdy handle to provide immediate hand-hold to safely lift and shift heavy goods. 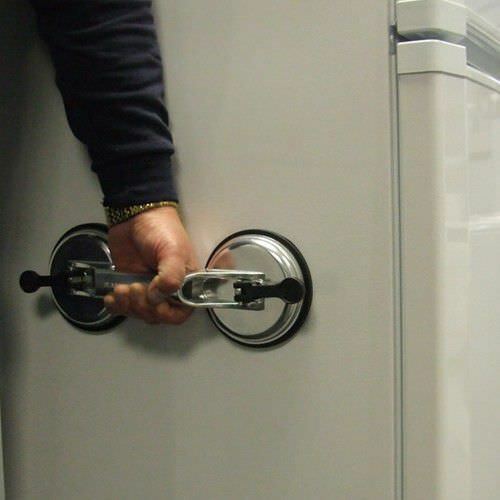 A hard-wearing ABS plastic flip switch allows simple attachment and release of the vacuum to non-porous surfaces to complete any lifting job quickly. The GGR2 suction cup is designed to lift without causing damage to the load surface but testing materials that may be sensitive to rubber and vacuum application is required. 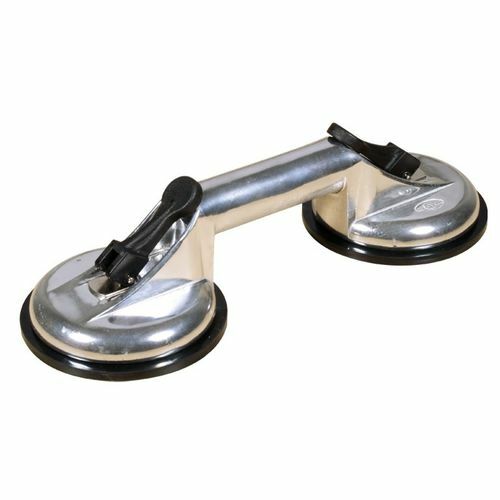 This suction cup can be used to lift and carry awkward loads such as air conditioning units, water heaters, duct work and plumbing fixtures.